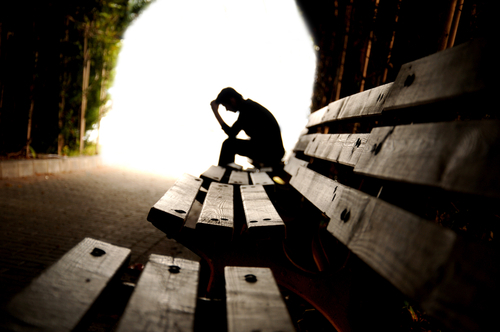 People who suffer from depression often see it as a moral failing. A lack of chutzpa. A weakness - rather than a derangement of their biochemistry, like, say, diabetes or under-active thyroid. My take is this unfortunate, and illogical view partially comes from the way depression distorts your thinking – it’s a kind of catch 22. The morbid thought patterns and lack of self worth makes you think you are being some kind of a wimp. Which makes you even more depressed. Explaining that depression is a “chemical imbalance,” a deficiency of serotonin, helps console to an extent. But further comfort is likely to come from a recent study of the genome of over 300,000 subjects (partially gleaned from the genetic profiling company 23AndMe) of whom 75,607 reported being diagnosed or treated for depression. There would appear to be multiple gene variants associated with depression, spread across 15 regions of the genome – and several of these sites are in or around the genes that are responsible for brain development. My prediction is that this will further help to comfort people suffering with depression. And encourage society in general to accept this as a proper illness instead of a moral deficiency.